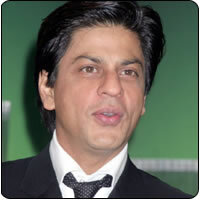 Shah Rukh is so hell bent on having Jackie Chan onboard for his home production Ra One, a super hero film, we hear. Though the initial discussions with the Hollywood star failed, SRK feels that there is still some hope left. Jackie has apparently told the producers that he is available for further discussions as he is interested in the film. However, sources close to the King Khan say that Jackie is charging an exorbitant sum to star in Ra One and this is one of the factors that is delaying the signing up process.